Cybersecurity luminary John McAfee says IoT DDoS attacks will cause even more harm this year. John McAfee, CEO at MGT Capital Investments, Inc. (MGTI) provides CSO with his predictions for 2017. 3. "Intelligence agencies will finally accept the fact that a sophisticated Nation State can perpetrate any hack and make it point to any Nation or agency that they choose. Attribution for a hack, in this day and age, is statistically, a near impossibility. Hopefully this will motivate our leadership to focus on cyber defense rather than cyber weaponry and abandon the futile and obviously erroneous pursuit of forensic science as a means of identifying a hacker. This works for a 15-year-old who obviously knew no better, but Nation States and organized hacking organizations will never be trapped in this manner. It's like determining that America obviously developed the Atom Bomb because "America" and "Atom" start with the same letter. It is a futile, senseless science that completely disregards the fact that more than 75 percent of all hacks are social engineering. Only 25 percent is technology." McAfee’s predictions seem to align with the recent trend of data breach and cyberwarfare activity. 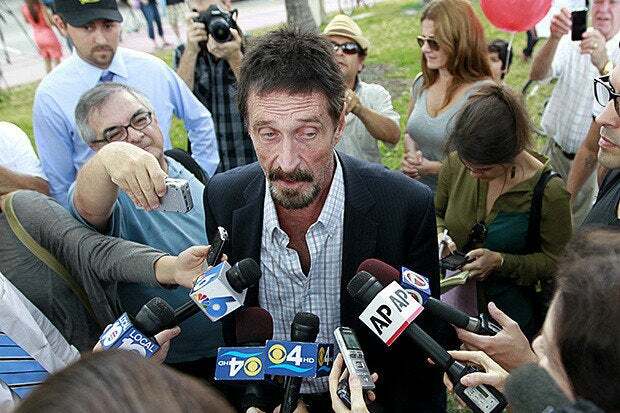 We’ll check back in with McAfee for a mid-year update.